Pinmo’s single most innovative solution for effective digital advertising is the integration of blockchain technology into the platform itself. This implementation benefits both advertisers and Pinmo’s own base of ad-sharing users in several important ways that revolutionize how effectively advertising is targeted at willing users. 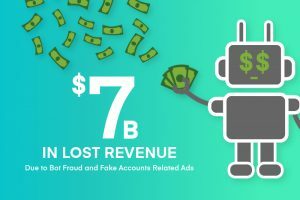 The Pinmo blockchain also lets users avoid the massive pitfalls of click fraud and poor transparency that plague so much modern social media marketing. In most of today’s social media advertising landscape, a large percentage of advertiser spending is simply lost to clicks from bots and fake social network accounts. This is fraudulent activity that costs advertisers money on ad campaigns without delivering any ROI whatsoever. The social networks themselves have done little to fix this problem or improve transparency to advertising campaigns. In other words, while advertisers do get to see analytics for their ads, they still lose money to fraud and lack the ability to deeply monitor just how their advertising was shared, when it was shared, by whom and how well each shared advertisement performed in real time. The result is a social media advertising industry in which marketers pay excessively for hazy analytics and potentially low ROI. Pinmo’s approach to social media marketing incorporates blockchain technology into social network marketing in a way that mostly eliminates the above problems and gives advertisers complete oversight of just how much ROI they’re getting for their budget. This results in better performing ads, higher business revenues and much more profitable returns for each dollar spent on advertising. Pinmo developed its primary advertising platform business model in 2017 with only fiat money (dollars) as the currency of choice, with over $1 million in revenue and numerous client relationships. This highly successful growth period also involved the use of extremely precise ad campaign analytics through IBM Watson’s AI supercomputer as a back-end management tool for client social ad campaign tracking. Now, in 2018, Pinmo has taken this already-established and proven approach to the next step by combining it with blockchain technology to turn itself into what is called a DApp (Distributed application) to boost ad campaign security, campaign transparency (which applies to the platform as a whole for all users), and for the handling of user and advertiser payments through Pinmo’s own cryptocurrency, the Pinmo token and other coins. 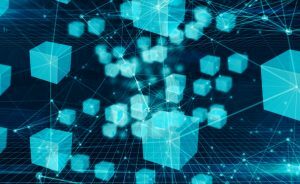 First of all, at its core, a blockchain is a more sophisticated, transparent and secure way of sharing and storing information transactions. With blockchain technology such as that now being used by Pinmo, instead of being centrally recorded, these transactions are spread and replicated in real time across a distributed networked ledger of nodes (computers, servers or other digital data storage points). 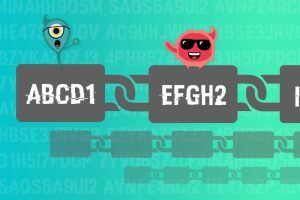 Each of these transactions must then be validated through a cryptographic signature process that is almost unbreakably secure and provides each new transaction with a unique time-stamped mathematical signature of its own. Pinmo’s social media marketing platform is decentralized, making it a perfect fit for the use of this blockchain technology. What Pinmo does is allow advertisers to set up campaigns in which they deliver advertising content, links and other branded information to a large and growing pool of incentivized users, who then share this content to their own followers on their own social network accounts with the major social networks. Ads by advertisers are paired with their ideal audience of sharing users based on how Pinmo and its advertising clients have optimized the content for user compatibility. The users have a distinct incentive to share ads and other materials because each time they do this on an advertiser’s behalf, they’re compensated by Pinmo based off a track record of their performance at sharing content and getting others to respond to ad content with converting actions. First and most importantly, all advertisement sharing actions by users and social media conversions that result from them are tracked as “transaction” data points on Pinmo’s own integrated blockchain network. These transactions can then be followed by both users who created them by sharing advertising materials and by advertisers as they run their own ad campaigns with user participation. Because the Pinmo Blockchain is transparent and cryptographically secure, every share by a user is logged and trackable in a way that can’t be falsified or modified after it’s happened. This means that users can keep track of exactly how well they’re performing for the sake of payment. It also means that advertisers can track exactly how well their ads are performing and where they’re being shared in real time. Secondly and just as importantly, Pinmo carefully filters all of its users to make sure that they’re real people with real social media followers instead of simple bots. On top of this, the blockchain tracks all ad sharing activity in sequence on a per-user basis. As a result, advertisers get an unprecedented ability to track the exact movement and performance of their ads in a way that makes digital advertising fraud extremely unlikely. 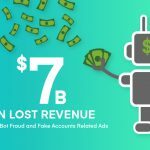 In other words, Pinmo’s use of blockchain technology also fights ad fraud in a way that virtually no other typical social media advertising platform delivers. The third major way in which Pinmo uses the blockchain is for payments themselves. Users on the Pinmo DApp can be paid by Pinmo tokens, which have been created as part of the same blockchain network that records advertising and sharing actions. Marketers who use Pinmo can pay for their campaigns through the same token while also being able to invest in a process called Proof of Stake (PoS), lets them gain access to additional campaign management tools if they buy 5000 or more Pinmo coins. It’s extremely important to note here that the Pinmo token itself is fully convertible to fiat money (again, dollars) and that it can be exchanged for other high-value cryptocurrencies such as Bitcoin or Ether on third party exchanges. Pinmo also accepts payments for users and from marketers via two other crypto tokens. These currently include publicly traded cryptocurrencies like Nebulas and Elastos, with other tokens coming in the near future. On the more technical side regarding Pinmo’s blockchain, Pinmo happens to be the first DApp that offers a cross-blockchain solution for advertising campaign management. The platform does this by implementing its main ledger and advertisers’ portal on the Ethereum blockchain while delivering its front-end user interface from inside the Pinmo DApp via other core chains like Nebulas, Elastos and Steem. Pinmo also works with these same third-party public chain partners for the creation of Node DApps that join together into a broader distributed traffic sharing community in which the same fundamental benefits of blockchain technology we already described are applied. In other words, users of Nebulas, Elastos or Steem (and eventually others) will be able to work with Pinmo’s services through their pre-existing tokens or even use Pinmo to create their own tokenized traffic solutions. Pinmo itself will act as an entry-way for a broader cross-chain environment in which a traffic circle among merchants and other blockchain solutions are created. Pinmo integrates blockchain infrastructure to its already unique social media advertising strategy for levels of tracking and analytics reliability that aren’t available from any other advertising platforms. 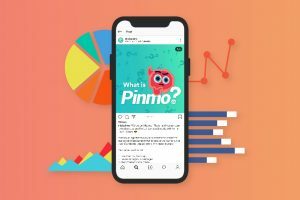 Advertisers can watch the exact performance of their ads nearly in real time as they’re shared by Pinmo’s users, and know exactly how much return they’re getting for each of them. Users of Pinmo get the same level of security for that they’ll be rewarded accurately for their own activity. 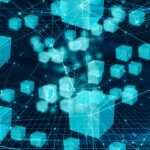 Pinmo’s blockchain backbone promises to keep delivering these levels of transparency and trust for both no matter how much the platform scales up in size with its broader cross-chain partners.